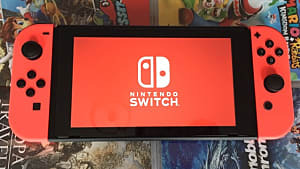 Oh boy, they released a grand bit of information today! 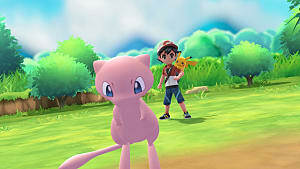 For those of you wanting to keep up with the news on Pokemon X & Y, the Pokemon Company gave another press release covering a good scope of information. 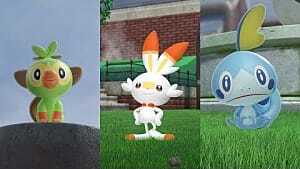 They finally released information regarding the first stage evolutions for the starter trio! 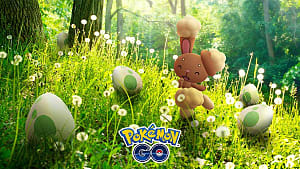 Chespin evolves into Quilladin, a pure Grass type that can learn Mud Shot. Fennekin evolves into Braixen, a pure Fire type that can learn Psyshock. Froakie evolves into Frogadier, a pure Water type that can learn Bounce. 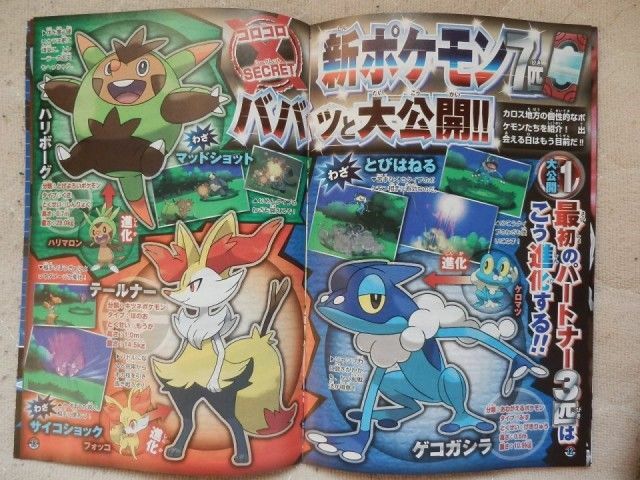 The starters have also been revealed to have the traditional starter abilities of Blaze, Torrent, and Overgrow. As we've come to expect from Pokemon games, we're getting some new fossil Pokemon! The T-Rex Pokemon will be known as Tyrunt. 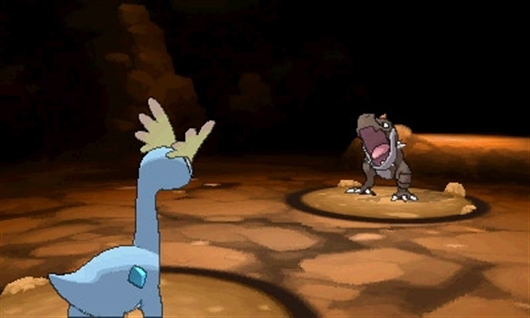 He's a Rock/Dragon type with a new ability known as Hard Jaw, which improves attacks such as Crunch. He'll come from the Jaw Fossil. The Diplodocus Pokemon is Amaura, and he's a Rock/Ice type. His ability, Freeze Skin, turns Normal attacks into Ice type attacks, and makes them more powerful! Amaura can be found within the Sail Fossil. We have news on both old Mega forms and new ones! 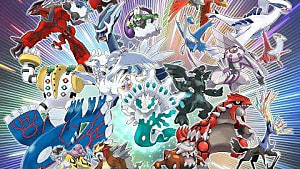 Mewtwo will be getting two exclusive Mega forms! Mega Mewtwo X is found in X version, and is a Psychic/Fighting type with the ability Steadfast. Mega Mewtwo Y, the first revealed Mega Mewtwo version, is found in Y version. 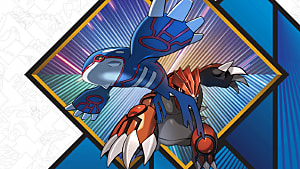 Mega Garchomp was revealed with the ability Sandforce, which is sure to make it even more fiercesome than its original form. The customizable dog, Furfrou. 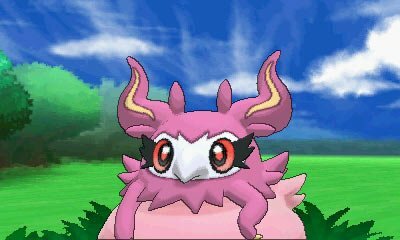 It has an ability called Fur Coat and a move called Baby Doll Eyes, which has priority and lowers the foe's Attack. Its appearance can be customized, similar to real-world poodles. This is likely to keep with the French theme the new region has. The new Fire/Normal type Pyroar, the Royal Pokemon. It has both a male and female form and can have the abilities Unnerve and Rivalry. A new Psychic type pictured below, currently known as Meowstic, has both male and female forms that affect the Pokemon's growth and moves. The male has a support moveset, while the female is more offensive. They can have the abilities Keen Eye or Infiltrator. They have been tinkering with some type changes, some of which are long overdue and some of which I am hesitant about. The new Fairy type is Super Effective against Fighting, Dark, and Dragon and not good against Fire, Poison or Steel. The type is weak against Poison and Steel and resists Fighting, Dark and Bug types, and is immune to Dragon type attacks altogether. Ghost types are no longer affected by moves that affect fleeing, such as Mean Look. Grass Pokemon can no longer be affected by the Powder moves or Leech Seed. Electric types can no longer be affected by paralysis. Its nice to know all about the critters in the area, but what about the cast of the game? 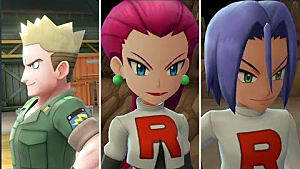 Team Flare has been revealed! Their goal seems to be to create a beautiful world, and the scientists of the team have been seen. The purple-haired woman is Celosia, the orange-haired woman is Aliana, the green-haired woman is Bryony, and the blue-haired woman is Mable. The final one of the lot is a man called Xerosic [not pictured], whose red goggles and hair make quite an impression. 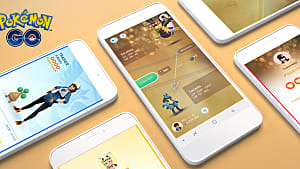 Your trainer's appearance is now customizable! You can pick from some default looks at the beginning of the game, and then later customize your outfits at a Boutique and Salon in game! That's a lot of new information to handle! What do you think about all of this information, and what would you like to see revealed next? 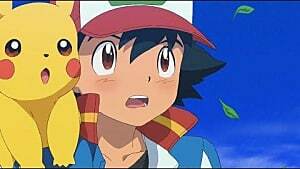 I gotta hand it to them, they're making good stuff with X and Y compared to what I expected. The 2nd stage of starters look good, and I hope we can get more info! Glad to finally see the 2nd stage of the starters. I definitely want the last stages to be revealed next.